It is heartening to see the renewal of interest in demography by at least some African governments. A share of the credit for this can be attributed to the discourse around ‘demographic dividend’. For a couple of decades, development economists have conveyed no clear message connecting population dynamics with economic advance. Yet the evidence was always strong that those countries which reduced fertility substantially and lessened their population growth have done better economically than those which did not. Finally we have widespread acceptance of an explanation for this trend, in the lowering of age-dependency ratios (Bloom, Canning and Sevilla 2001). Readers of N-IUSSP will probably be familiar with this effect: high fertility countries have very high proportions of children who are not economically active, so that as fertility falls, normally in conjunction with infant and child mortality, the proportion of ‘working age’ adults increases, at least for a few decades, until the rise in proportion of old-age retirees begins to outpace the decline in proportion of children. The demographic dividend refers to this temporary ‘window’ in which working-age proportion is unusually high. Intuitively, a high proportion in ‘working age’ seems likely to mean greater economic activity per capita and a higher savings rate. But the dependency ratio itself, assuming that the expanded workforce is productively employed, can account for only a fifth (Wang and Mason 2007) to a third (Bloom and Canning 2008) of the economic stimulus observed in east Asian countries. The story is evidently a little more complicated. Much emphasis is now being placed on demographic dividend as an opportunity, which requires a major expansion of human and industrial capacity to be realised. (Canning, Raha and Yazbeck 2015). What is rarely mentioned is that trying to increase education and employment opportunities are not new priorities, nor uniquely applicable to countries with shifting age structures. They have been the priorities of development forever. What is pertinent is not that ‘demographic dividend’ countries did more on this front, but that what they did was enough to get ahead, while similar efforts in high fertility countries generally failed to keep pace with the tide of population growth. The population growth rate itself, not merely the change in age structure, has a great impact on countries in fertility-transition. The dead weight burden of ‘capital widening’, to deliver the currently prevailing rate of educational, industrial and institutional capacity to each year’s additional people, is a massive constraint on economic betterment. (O’Sullivan 2012). This masquerades in the national accounts as ‘investment’, but is in practice merely a maintenance cost, bringing no additional benefit per person. The burden can be demonstrated though its impact in high-immigration developed countries, where population growth is associated with little change in age structure. Data from the UK (O’Sullivan 2013) and Australia (O’Sullivan 2014a) found that each 1% of population growth rate ‘uses up’ around 6.5–7% of GDP for capital widening. This amount of spending is thus not available for improving the welfare of existing people. If a similar proportion prevails in sub-Saharan African countries, population growth may be consuming 20% or more of GDP, just running to stand still. Reducing this impost, by reducing fertility, represents an ‘infrastructure dividend’, which complements and might surpass the more favourable age structure. It is therefore disturbing to hear increasingly frequent claims that Africa’s burgeoning population offers an economic bonanza due to the ‘demographic dividend’. The implication is that Africa will have the last laugh, as its growing, youthful population will become the economic powerhouse as developed economies senesce due to demographic ageing. The ageing fearmongering is so far unsubstantiated (Kluge et al 2014): ageing has not yet been demonstrated to constrain workforce or per capita wealth in any country (Betts 2014), but rather to reduce unemployment and inequality (O’Sullivan 2014b). So the advantage of youthfulness may be a mirage. More importantly, the message that a bigger proportion of working age people may be a good thing has been confused with the idea that a bigger number is an unmitigated good. At the 7th African Population Conference last December, a South African Minister said, “What was the big fuss on population? Western Europe and the UNFPA made such a fuss about absolute numbers of population and today this discourse has been blighted by what is called a demographic dividend, suggesting that a big and youthful population after all is not a bad thing as Malthus made us believe.” He added, “A demographic dividend is brought about by expanding the thinking capabilities of the human mind and brain.” These words echo Julian Simon’s 1981 thesis that humans are ‘the ultimate resource’, dismissing any possibility that crowding of the natural resource base will ever (let alone already does) cause deprivation. More recently, an International Monetary Fund blog (Thakoor and Wakeman-Linn 2016), picked up by African business media, announced, “Sub-Saharan Africa could reap significant benefits from its growing population—if the transition is well managed.” The article, by IMF advisers to Africa, does eventually concede that some countries will have to reduce their fertility rates. But not before extolling the increasing proportion of the world’s workforce that will be African. Never mind the limited capacity of other regions to generate demand for additional labour, the scarcity of resources available to be converted to exportable products, and the already rapidly rising food import-dependence of African countries. It is good that the demographic dividend discourse is highlighting the need to invest in youth. Some see it as a way to incentivise better family planning programs without mentioning the word “population”. But does this strategy risk backfiring, by distracting attention from fertility decline and implying that, once the ‘demographic window’ opens (demographic dividend, reputedly at a working-age proportion around 60%), then further declines in fertility and population growth are not necessary? 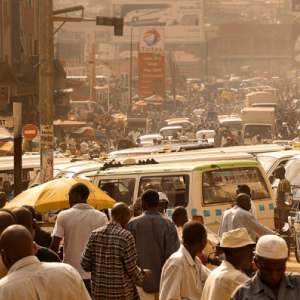 High population growth is the main engine of impoverishment in Africa, and ending population growth is an absolute requirement for sustainable prosperity. Why must these simple facts be mired in such subterfuge? Bloom D.E. and Canning D. (2008) Global Demographic Change: dimensions and economic significance. Population and Development Review, Vol. 34, Population Aging, Human Capital Accumulation, and Productivity Growth (2008), pp. 17-51. Bloom D. Canning D. and Sevilla J. (2001) Economic Growth and the Demographic Transition. NBER Working Paper No. 8685, National Bureau of Economic Research. Canning D., Raha S. and Yazbeck A.S. (Eds) (2015) Africa’s Demographic Transition: Dividend or Disaster? Africa Development Forum series. Washington, DC: World Bank. Kluge F., Zagheni E., Loichinger E. and Vogt T. (2014) The advantages of demographic change after the wave: fewer and older, but healthier, greener, and more productive? Plos One 9(9): e108501. O’Sullivan J.N. (2012) The burden of durable asset acquisition in growing populations. Economic Affairs 32(1), 31-37. O’Sullivan J.N. (2013) The cost of population growth in the UK. Report for Population Matters. O’Sullivan J. (2014a) Submission to the Productivity Commission Inquiry into Infrastructure provision and funding in Australia. Thakoor V. and Wakeman-Linn J. (2016) Surf the Demographic Wave. Finance & Development, March 2016, Vol. 53, No. 1. Wang F. and Mason A. (2007) Population Aging in China: Challenges, Opportunities and Institutions. In: Zhao Z and Guo F. (Eds. ), Transition and Challenge: China’s Population at the Beginning of the 21st Century. Oxford University Press, pp. 177–196.